As I promised in my post, What’s Coming Soon, here is my Vintage Nail Design! 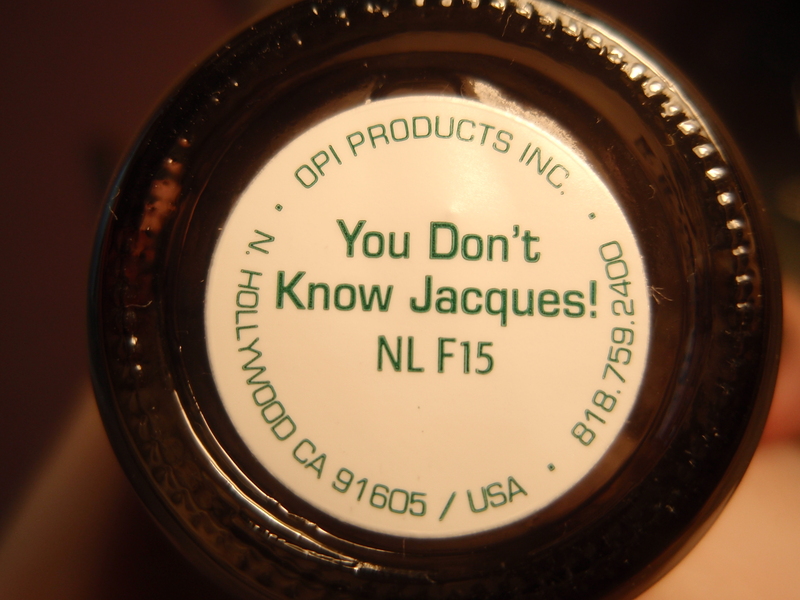 O.P.I: You Don’t Know Jacques! The best thing about this design is that it is SO simple, but it has a really nice look about it. When I was made the design, I wasn’t trying to make a vintage look, but when it was ll done, I looked at it and thought “vintage” described the style perfectly! To make this design, I started with three coats of “You Don’t Know Jacques!” and waited for it to dry. 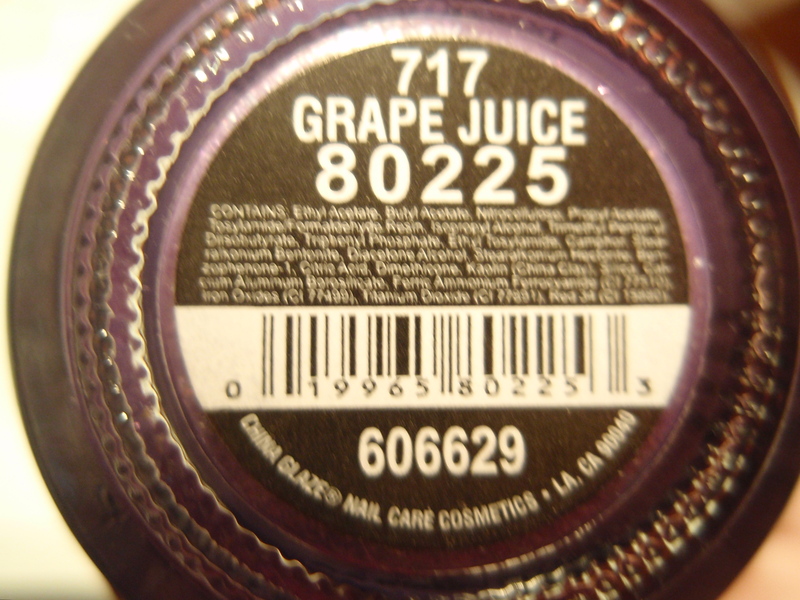 If you want to know more about this color, click my Review for it. 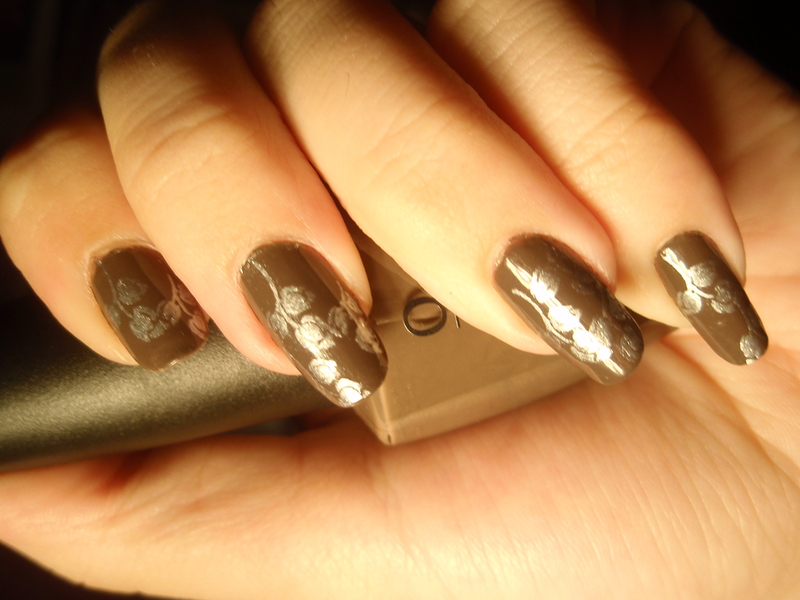 Then I used the Konad Special Nail Polish in silver, and using a flower design, I stamped on the silver flowers. 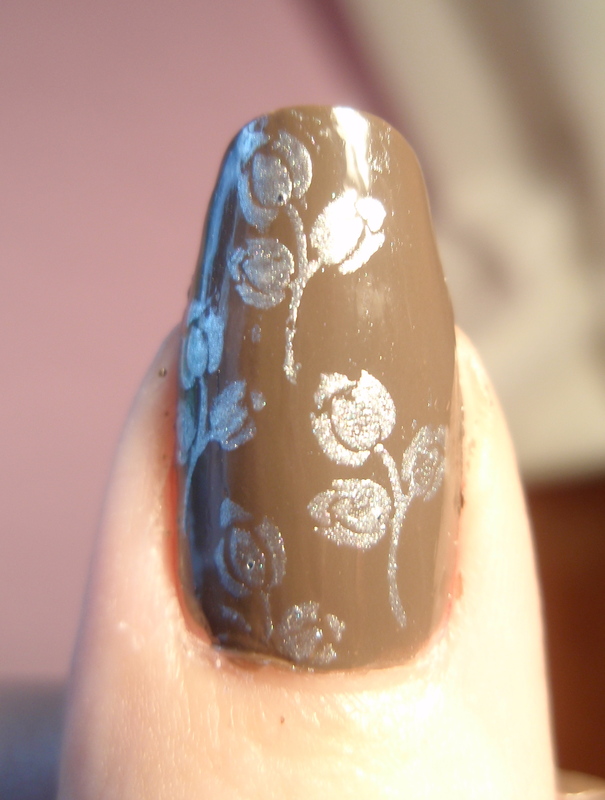 After applying the Konad polish, I made sure to wait until it was dry before putting on the top coat because other wise the flower designs will smear. 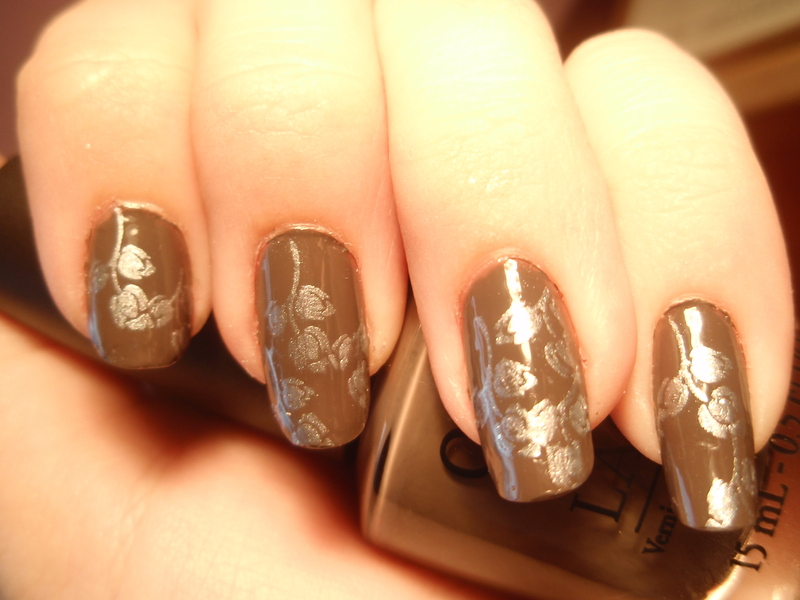 Especially with the silver polish because then the base color (You Don’t Know Jacques!) will have a silver shimmer to it. Unless that’s the look you’re going for! And here are some more photos! What’s kind of funny is that when I first did this design, I actually wasn’t too crazy about it. But then it warmed up to me. And then I really started loving it. That happens to me a lot. Or the reversal, when I like something and then I slowly start disliking. That happens a lot, too. LOL. I hope everyone in the U.S. enjoys Labor Day Weekend, and everyone else in the world, enjoy your weekend! Well. It is September. Is it odd that I have a Valentine’s Day nail design when it’s not even remotely close to February 14? Well, I have an excuse. 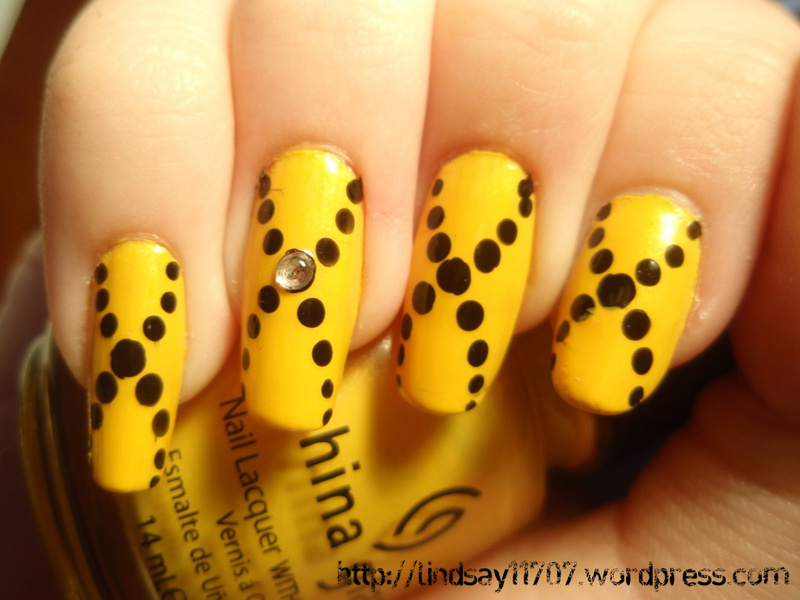 This nail design was actually one of my submissions for PHD’s Nail Design Challenges. 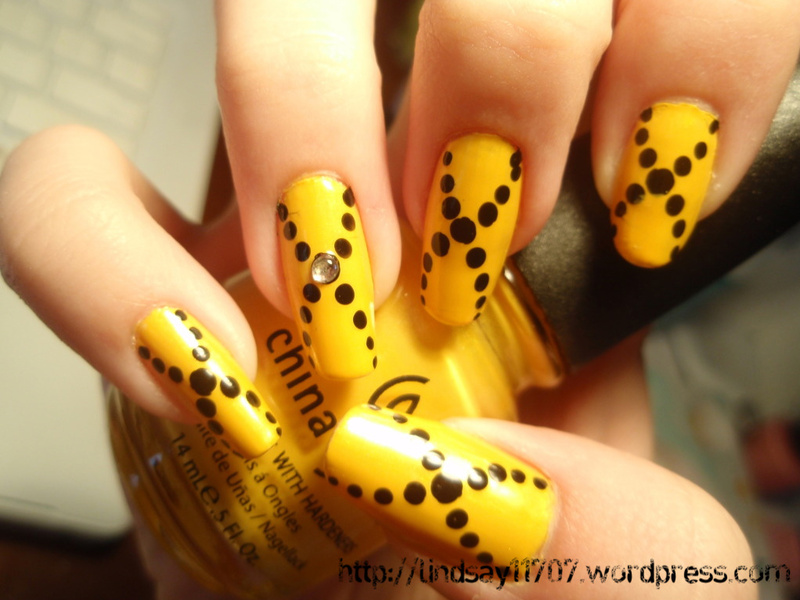 You can check out the nail challenge entries for that week HERE! The design was super easy. It’s hardly a design at all! Lol. I only used one nail color, but I guess technically there was still a thought process behind the nails, so it’s a design. First, I painted my nails three coats of Ruby Pumps, then in the center of each nail (excluding the fourth), I applied a large rhinestone. 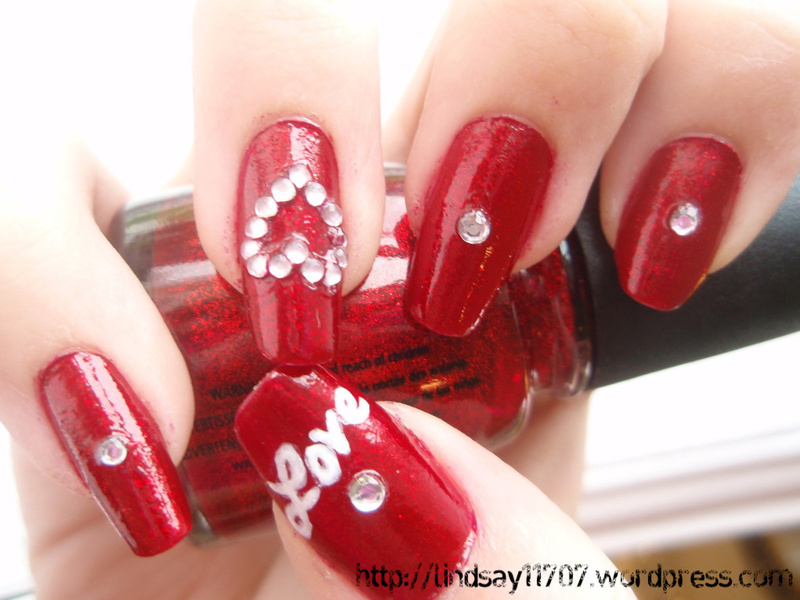 On the fourth nail I made a rhinestone heart out of small, silver rhinestones. I enjoyed that. Lol. I wrote the “Love” using the white Sally Hansen’s Nail Art Pen. I don’t know if I’ll put an entire review on this product or not. Maybe one day I will. But for now, I’ll just tell you the important things. I got it at Walgreens for about $8. I’m pretty sure that was the price. 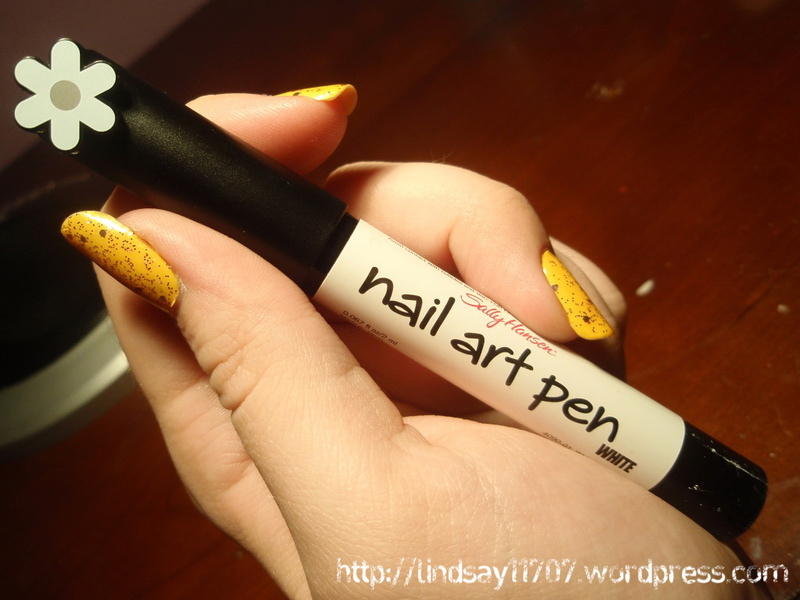 With this nail art pen, make sure you shake it well, BUT after shaking, open it SLOWLY, otherwise it’ll spray everywhere… I talk from personal experience. And the product washes off with water, which is good, in case you make a mistake, but that means you HAVE to put a top coat over it. 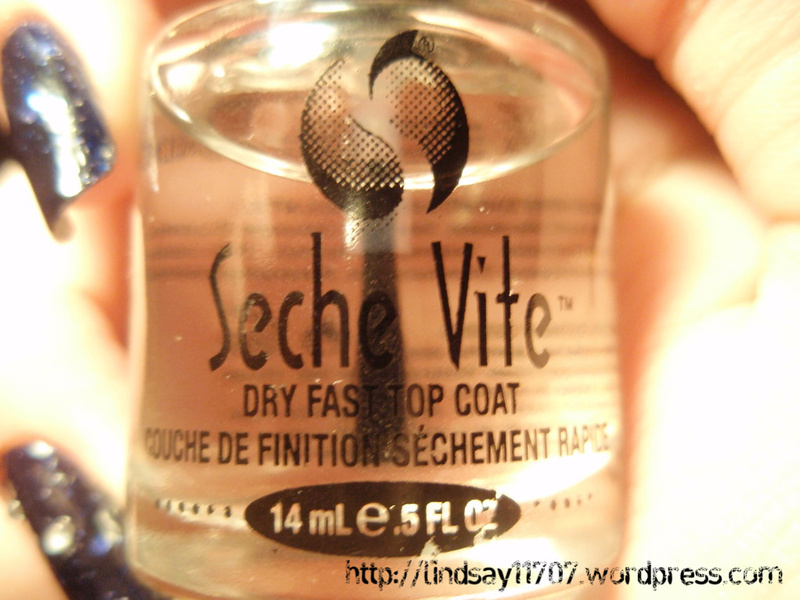 It seems like all the nail blogs I’ve visited use Seche Vite. Whoever uses it seems to SWEAR BY IT. Everyone says it’s the best top coat to use. So. I researched it. I looked it up on Sally Beauty Supply’s website, and checked out the reviews that people gave the product. It was HIGHLY recommended by everyone. But some people complained about the strong smell. So, of course, I had to get it and see for myself what’s up with this top coat. 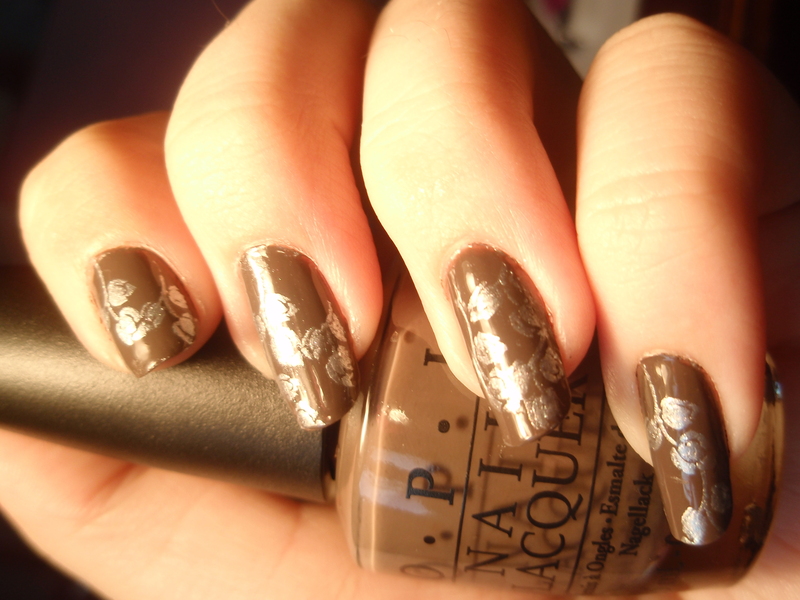 I got it just two days ago, and have already used it on my nails. Let me get this out of the way. The smell? Well, yes, it’s rather strong if you put your nose up to it. Lol, But if you can avoid that, I think you’ll agree with me when I say that I just found my new top coat. It goes on smoothly and it dries super fast! In seconds! And it makes your nails feel hard and strong. There’s no way your polish will chip. It’s long-lasting and makes your nails super shiny! I used to have problems with other top coats because there would be little air bubbles in the clear coat, and then they would show up on my nail design, ruining it. 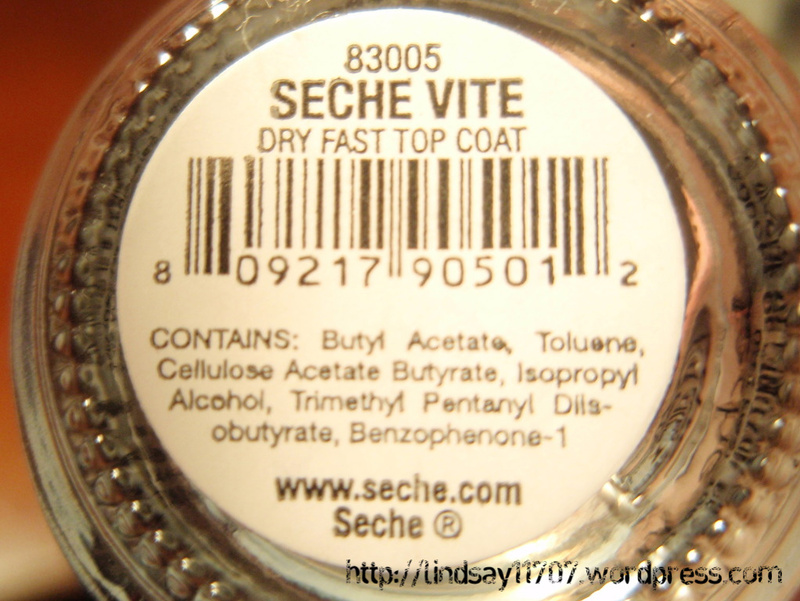 Seche Vite does not do that. 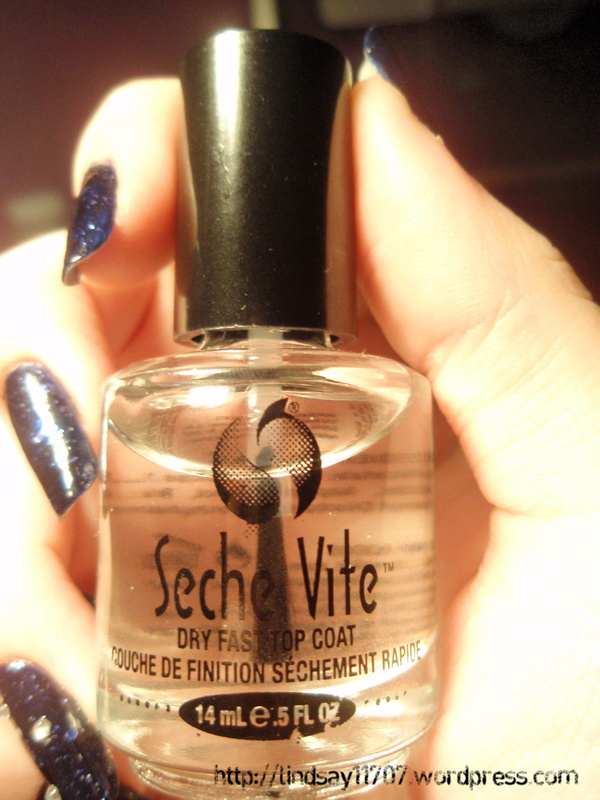 I got Seche Vite at Sally’s for $7.99, and it is completely worth the money. I HIGHLY recommend this to anyone. A good top coat goes a long way. 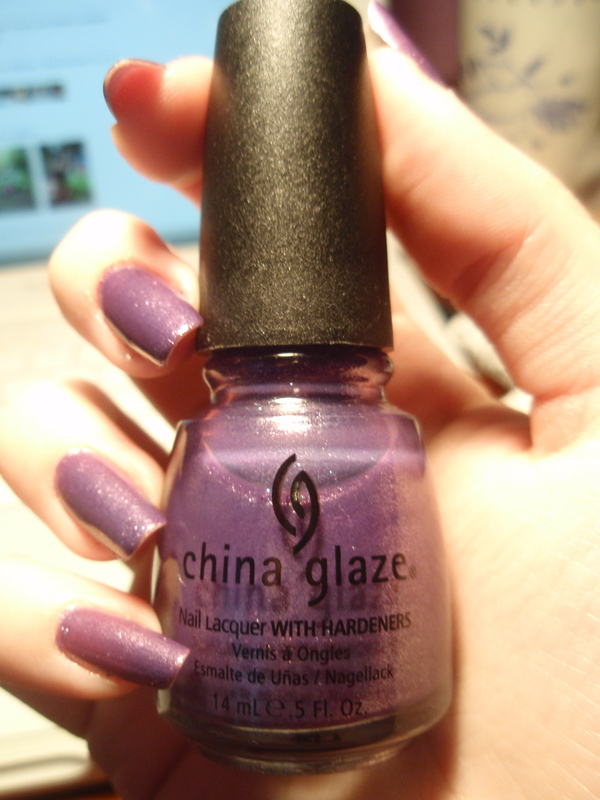 First let me say, with this polish, it was IMPOSSIBLE to get the color exactly translated into a photo. I took , oh gosh, I don’t know HOW many photos, playing with different light, different times of the day… And I managed to get the right color with “Ruby Pumps” when I used natural light from my window. Unfortunately, where I live, it has been overcast for several days, and for the past two days, it HAS NOT STOPPED RAINING. Which is annoying because school is now in session. The color above in the photo, honestly, looks NOTHING like the actual nail polish color. I just really wanted to write this review, but I have better pictures on this post if you keep reading. This photo was taken in my bathroom, over the sink, which has a large window. But it still has the influence of fluorescent lighting. 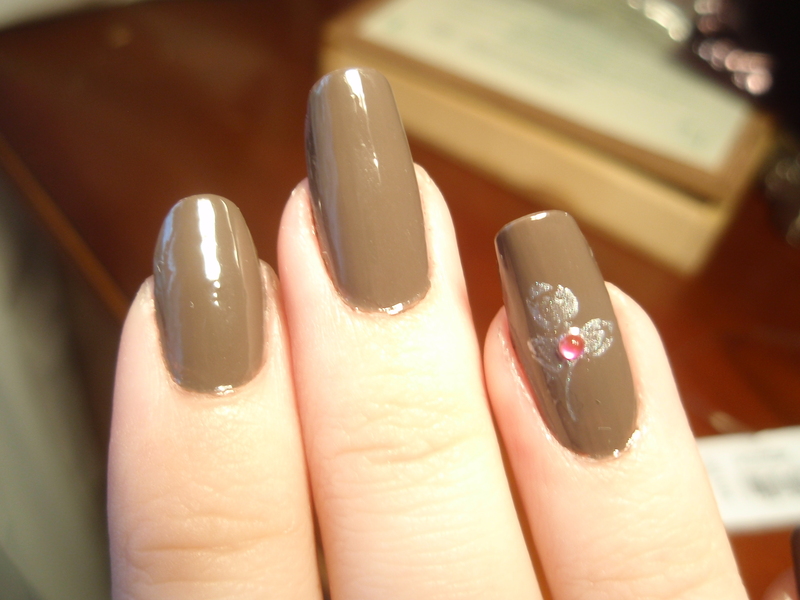 The photo nails look like a dark brown, but it’s really a gray/brown. This polish changes color in different lighting. Not literally, as if it were a mood ring, but depending on the lighting, sometimes “You Don’t Know Jacques!” is more gray than brown and sometimes more brown than gray. This is a picture right next to the window, letting in natural light. This is pretty close to to the actual color. It looks SO BROWN, but it’s NOT! So, here’s the ACTUAL review. Lol. Sorry for making you read all this other stuff. 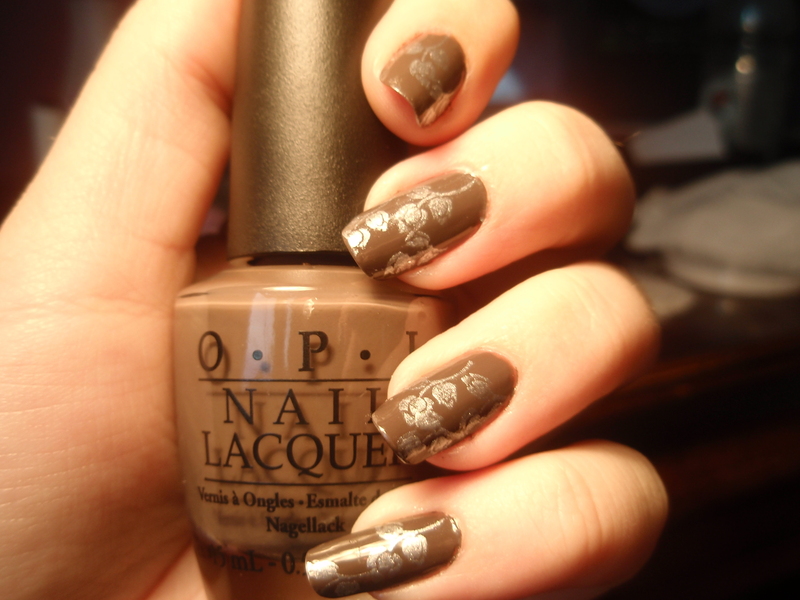 So this was my first time using O.P.I and I think I might have a new favorite nail polish brand. You get your money’s worth, for sure! This is quality polish. The application process is so smooth! The more polish you put on, the darker it gets, as with most polishes. I used three coats. 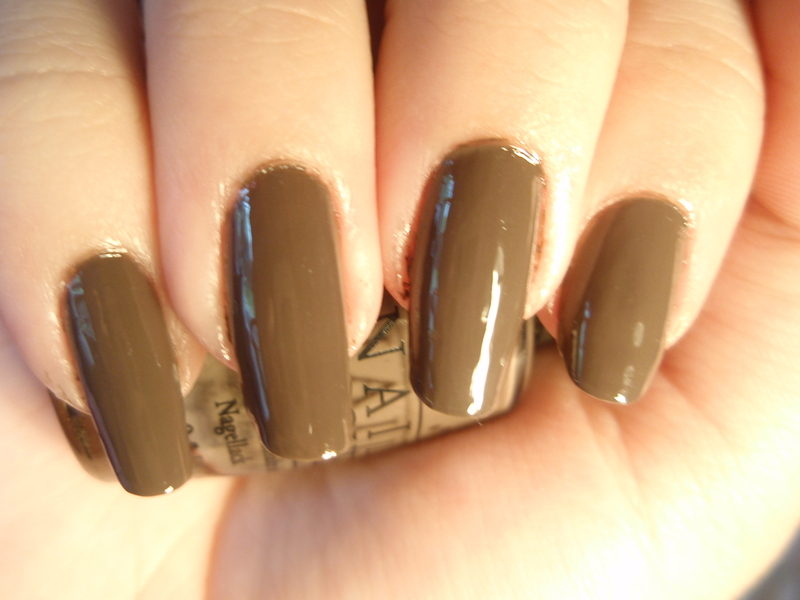 “You Don’t Know Jacques!” is a creme polish, and it is a brown/gray color, also known as taupe. I noticed that in the fluorescent light it’s more gray than anything else. A dark gray. It dries fast, removal is fine. AND. It’s so shiny! After three coats, it looked like I was already wearing a top coat! It looked like glass! And my nails felt like glass too! It was SO SMOOTH. I couldn’t stop feeling my nails. Creepy much?! And I know I said I would have something posed on Monday, and actually, I started typing this yesterday. I had every intention of posting it. But then it was getting late, and I still wasn’t done typing, and I was getting frustrated with the lack of good, color-right photos. So I just gave up and went to bed. Today is my BEAUTIFUL sister’s birthday! She’s turning 19! But she’s faraway in college. Which means I can’t give her a hug until she suffocates or shake her until she’s dizzy. Or any other (fairly) harmless things to her. 😦 But I WILL dedicate this page to you, my dear sis! I was going to use a codename, for privacy reasons, but HECK, the good people DESERVE to know your amazing name!